Boat engines and navigational units are being stolen by thieves who cut fences at night and disable security cameras. 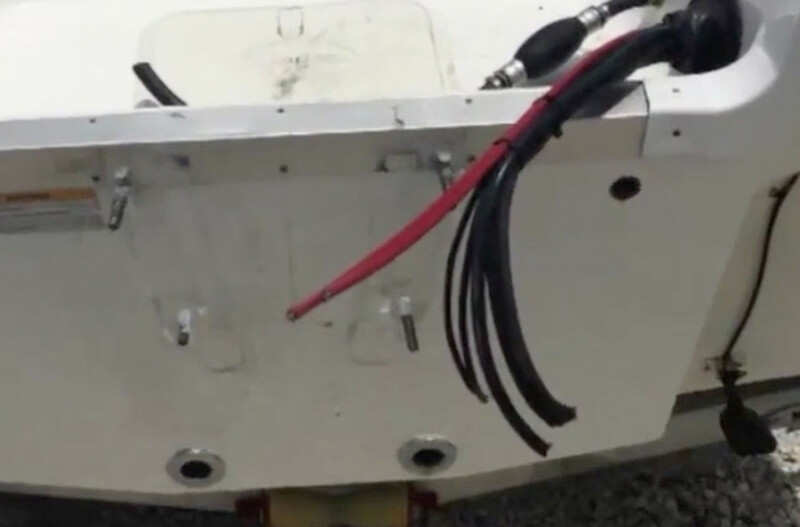 A national task force has been formed to investigate a rash of boat engine and electronics thefts at dealerships and marinas across the country that has resulted in millions of dollars of equipment being stolen. A group of sophisticated thieves is targeting engines and electronics, cutting fences at night and disabling security cameras before making off with engines and navigational units, said Dan Rutherford, director of claims and risk management for the Maritime Program Group, an insurer of boat dealerships. What began in Florida started to spread north along the East Coast, and most recently dealerships in Texas and upstate New York were hit in a similar fashion, Rutherford said. Captain Max King’s Marine in Virginia had six 600-pound engines stolen in February. “These people knew what they were doing. They cut two holes in the fence that I think were for an escape route for if they got caught,” owner Max King told the Virginian-Pilot. The St. Johns County Sheriff’s Office told News 4 Jax that last year there were 27 incidents in which at least one motor was stolen. This year there have been 17, and it&apos;s happening all over the county. In May, thieves targeted a Minnesota dealership, according to a local ABC affiliate. What had been confined to Florida and then moved to the I-95 corridor seems to be spreading across the country, Rutherford said. Rutherford said that in most of the thefts someone will pose as a shopper a day or two beforehand to case the dealership. “In one case, the day before the facility was hit, the suspect gained entry into the yard by posing as someone selling a miracle cleaner for fiberglass,” Rutherford said. Rutherford does not have an exact figure for the value of what has been stolen this year. Other insurance companies don’t like to share their loss data and he does not capture the engines stolen from personally owned boats, which is also happening, because in those cases owners have to deal directly with their insurance companies. Still, he said he conservatively estimates that millions worth have been taken this year alone, and he is urging boat dealers to make sure they’re on the lookout for anything suspicious and that they take additional steps to safeguard their inventory at night, such as installing motion-detection systems, audible alarms and motion-detection lighting. During past rashes of thefts, investigators understood the purpose, whether the goods were used for human or drug smuggling. This time they’re perplexed about the motive, Rutherford said.